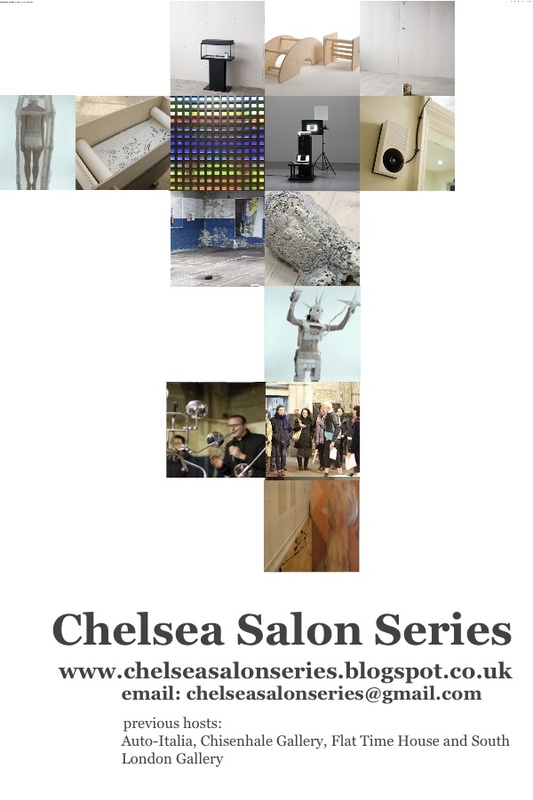 it was a pleasure to meet you and present Chelsea Salon Series to you recently. We look forward to receiving your submissions, hearing your ideas and getting to know you at our events. 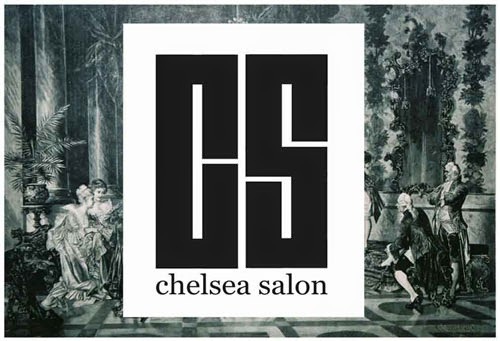 You can contact us at chelseasalonseries@gmail.com anytime. Laura and Josh can be found at their office space on the 1st floor of E block at the college frequently and Kate is at CHELSEA space on Tuesdays, Wednesdays & Thursdays 11am - 5pm. 1. South London Gallery Salon from Dave and Naomi, 30th October 2012. • The full capacity of the Salon is around 30/35 so you can attend and participate even if not presenting. The first of this years SLG salons takes place on the 30th October. You can install work from 4pm with the Salon beginning at 5.30pm. Whilst we know it is early in the term, it would be great to have plenty of people presenting. If you are interested in presenting work you need to send an email to info@dave-charlesworth.com by the Wednesday 24th October stating your interest and the type of work you are showing including duration if it is a film. Salon slots are available on a first come first served basis. We will be running further SLG salons on the December 6th, February 7th 2013 and May 16th 2013. 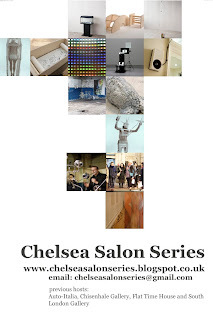 - the Chelsea Salon Series team: Laura Carew, Josh Y'Barbo and Kate Ross.